High-performing individuals and great businesses succeed through a process of reinvention, renewal and rebirth. New skills and new ideas bring fresh life to an organisation, which in time gives birth to new offspring. Take Apple for instance. The company reinvented itself when it moved from a focus on computers to one clustered around media and music. It now thrives in a continuous state of renewal and rebirth, branching out from its beachhead of the iPod to iTunes, through the iPhone, and now to the iPad. Success and growth is built on an inner ability to adapt, perform and regularly spawn new ideas. Capability to innovate is critical to this process, and the ability to think creatively lies at the heart of this quest for new ideas. Can you remember the last time you observed a butterfly? Did you stop to admire its beautiful artistry? Were you mesmerised by its fanciful flight? There is something innate in all of us that makes us marvel at this group of insects — it is a symbol of creativity, which is something we all appreciate and crave for. What’s more, this beautiful creature is one that is shaped and borne out of a four-stage creative process. In pursuit of renewal, perpetuation of the species is a key mission for the adult butterfly with a relentless appetite for reproduction. It is a social being that mixes well with others. Stage 1 requires focus — the adult searches for the right mate, and once united, it selects the most suitable place to lay its tiny butterfly eggs. 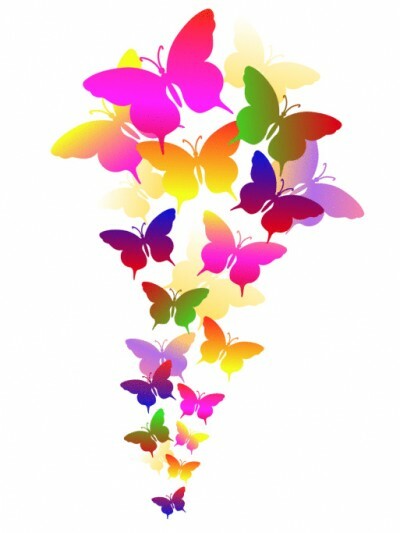 Like the butterfly, the first stage of the human creative process begins by gathering the right information. You achieve this through a process of exploration, networking and collaboration. Curiosity reigns. Once challenges are understood and the mind fed, the seeds of a solution are sown and delegated to the unconscious mind for safe incubation. Next is the larval stage, as butterfly eggs hatch into caterpillars. Stage 2 is preparatory with a very simple mission — relax and do little except eat. To assist their young, adult butterflies lay their eggs onto the right leaves to provide the right sustenance for the larvae. You cannot force a “good idea”, so incubation is an inevitable and important creative stage. It is where the conscious mind lets go to focus on things that are more mundane: eating, sleeping, exercising, shopping, working and relaxing. This stage must be traversed, it cannot be bypassed. It provides the unconscious mind time to mull over the knowledge gained during Stage 1. Having relaxed and grazed sufficiently, the moment comes to anticipate breakthrough. The caterpillar pupates, curls up into its dormant form and gets ready for change. Nothing is seen from the outside, yet there is considerable work going on deep down inside. Stage 3 is transformative — it signals the end of the caterpillar, in readiness for birth of a new adult butterfly. To humans, this is that “Aha!” moment, when new ideas appear to bubble up and be born, as if from thin air. You cannot predict when they will come or how they arrive. So long as you perform the first two stages, you can trust that this moment will occur. You need to be ready to catch the ideas when they finally hatch. Breaking out is hard work as the young adult is born, not yet fully formed, vulnerable and in need of rest. This final stage requires execution — wings must be unfolded, tested, strengthened, flapped and then flown. There is little time to grow into the beautiful insect we admire, before it sets off in search of a mate, leaving trails of pollination in its wake. New ideas are also at their weakest at the stage of their birth: half-formed, undefended, not yet strong, and easy to shoot down. They need a little protection and become stronger and clearer through a process of testing and evaluation. Once the strength of clarity is brought to bear through inspection, the ideas are ready to fly and it is time for their execution. Problems are solved by the creation of good ideas, which take flight to percolate the organisation and pollinate its people. Just like the butterfly, humans have all the resources they need to exercise their creativity and generate those new ideas. The answers you seek for the challenges you face lie not outside the box, but inside your protective cocoon. Give it a try — pull a few creative ideas out into the open, evaluate them and if they are good, let them fly!